OB/GYN is the abbreviation for obstetrics and gynecology. This is the specialty of medicine that focuses on everything related to the medical science of women and everything dealing with the women’s body. Now gentlemen, keep in your pants (LOL). Pregnancy, child birth, and postpartum care. Deals with the female reproduction, which includes the entire reproductive system of the female, including breast, sexuality, and family planning. Obstetrics and gynecology overlap in most cases. Doctors in those specialties usually practice both. When it comes to caring for their patients, they usually do so in a long-term doctor-patient relationship. OB/GYN doctors also do surgery procedures such as cesarean section and fibroid removal. These doctors can work in either in a clinical setting or in a hospital setting. There is unpredictability in the caring of patients due to the nature of the woman’s body. Therefore there is no set schedule. – Get a bachelor’s degree with the pre-medicine criteria fulfilled (4 years). – Get into medical school and get a Doctor of Medicine Degree (4 years). – Get into an OB/GYN specialty (4 years). So basically it’ll take you 12 years to be a OB/GYN doctor. OB/GYN residency offers a base salary from $45,000 to $60,000 based on the program. Usually the more rural the program is the higher the salary. Or in some programs in New England states, the salary is much higher. After completing residency, a fully licensed OB/GYN doctor makes in the range of $200,000 to $250,000. From Medscape compensation report, it shows in 2005 the median income was $210,000. In 2010 the median income was $225,000. According to the US Labor and Statistics, as of 2012, OB/GYN specialists make a median salary of $301,737 before taxes and malpractice insurance fees. Since that’s just the median salary, that means there is evidence of making more than that. So the salary is increasing exponentially every year. So if you plan to go into OB/GYN, just keep in mind that you will need to complete 12 years of schooling and training. After residency you’ll land with the potential of making more than one-third of a million dollars. A pulmonologist is a medical doctor who specializes in the treatment of respiratory tract and the lungs. Pulmonologists treat a variety diseases such as pneumonia, bronchitis, pleural infections, COPD, lung cancers, pneumoconioses, and more. Pulmonologists also follow through with patients, especially lung cancer patients as the lung cancer incidence has not decreased while its prevalence has increased in the recent years. An addition of a minimum of 2 years of fellowship with patient contact and responsibility; the level of responsibility has to increase with each additional year of training. 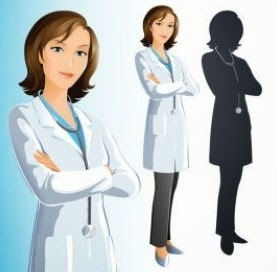 Some programs may require at least 3 years of fellowship on top of internal medicine residency years. As of 2012, the median salary for pulmonologist is $263,000. Historical data shows about 16% of pulmonologist makes around $400,000, which is mainly due to accumulated years of experience. Unfortunately there is a gap between the salaries of male and female pulmonologist physicians; apparently there is a 30% increase in favor of male physicians. The salary for pulmonologist varies based on the geographical region of the United States. Doctors in the Southwest part of America tend to make $212,000 as of 2012. Doctors in the West part of America tend to make the highest salaries with a mean of $296,900. That means there is a $86,000 increase in salary in Western America. In the mid-Atlantic states which includes North Carolina, pulmonologist physicians make an average of $254,000. The high number is no surprise because North Carolina is known as the tobacco state, hence home of smokers. North Carolina would be a gold mine of pulmonologists. A psychiatrist is a medical doctor that overseas the treatment of mental disorders. Keep one thing in mind, psychiatrists are not the same and psychologists. Psychiatrists actually went to medical school. Psychiatrists mostly consult and prescribe medications for mental disorders. Psychiatrists also work in team environment working with social workers, psychologists, and primary care physicians. Check out my psychiatry rotation review. How much does a psychiatrists make? 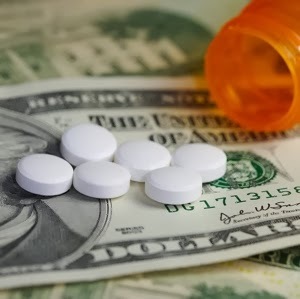 According to the US Bureau of Labor Statistics, psychiatrists make an average $174,170 per year, or $83.73 per hour, as of May 2011. As of April 14th 2013, psychiatrists in Hawaii earn an average salary of $97,000 per year, which is kind of low for a person with an MD. However, I know of a psychiatrist who made well over a million dollars per year, but he works all day and he has over 20 years of experience. California has a record of the most jobs in the medical field of psychiatry. It makes sense, since marjuana or cannabis is legalized, those pot heads need someone to treat their mental disorders. So if you are the type of person that doesn’t want to deal with needles or other hands on procedures or if you just want to have a laid back medical doctor job, then go for psychiatry. Basically, you will be consulting and writing prescription all day and you still would be paid a six-figure income.